Sean McCaughey, a metal worker who spent the summers teaching Irish in the Glens of Antrim, was born on the 8th June 1915 in Aughnacloy, County Tyrone and came to Belfast with his family when he was five years old. Sean was a highly respected and popular Gaelic teacher, who taught in the Ard Scoil in Divis Street, and a dedicated member of the GAA and Gaelic League. In private however, Sean was also an influential IRA Volunteer, who served as Northern Command O/C, Adjudant-General and for a short time as, Chief-of Staff. Suspecting that the then leader of the IRA, Stephen Hayes, was in the pay of the Free State government, McCaughey and several others arrested and interrogated Hayes. Whilst Hayes was still in IRA custody, McCaughey was arrested. 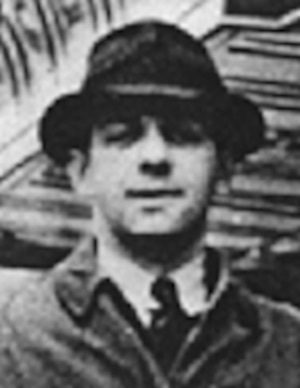 Hayes escaped and later testified against McCaughey at a Military Court which sentenced McCaughey to be shot by firing squad, though his sentence was later commuted to life imprisonment. During World War II, the Dublin government used the harshest methods to thwart an IRA campaign including internment, special courts and even executions. Sean McCaughey was among a number of Irish republican prisoners who were singled-out for ‘Special Treatment’. As a result, they were held in barbaric conditions for the next five years in Portlaoise. Sean was held in solitary confinement, naked but for a blanket. In a last ditch attempt to end their misery, Sean embarked on an agonising hunger and later a thirst strike to highlight their conditions. Volunteer Sean McCaughey died just 23 days later. After his death, and partially as a result of the publicity detailing the horrific conditions under which he was imprisoned, Fianna Fail fell from power and the incoming coalition of Fine Gael and Clann na Poblachta (led by Sean MacBride, counsel for McCaughey), unconditionally released all IRA prisoners. MacBride: Are you aware that during the four and a half years he was here he was never out in the fresh air or sunlight. Duane: As far as I am aware he was not. MacBride: Would I be right in saying that up to twelve or eighteen months ago he was kept in solitary confinement and not allowed to speak or associate with any other persons? MacBride: Would you treat a dog in that fashion? The deputy coroner intervened: That is not a proper question. MacBride: If you had a dog would you treat it in that fashion? Sean McCaughey is buried in the Republican Plot at Milltown Cemetery in Belfast.